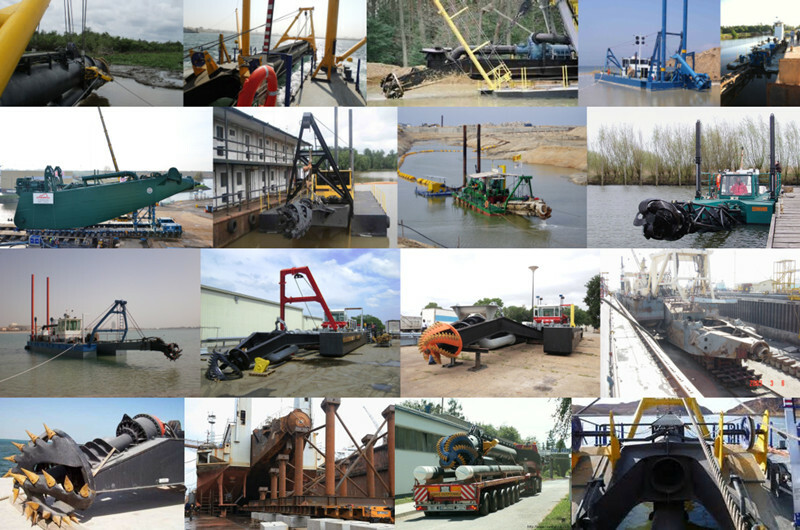 Product categories of Cutter Ladder, we are specialized manufacturers from China, Cutter Dredger, Cutter Ladder suppliers/factory, wholesale high-quality products of Dredge Cutter Head R & D and manufacturing, we have the perfect after-sales service and technical support. Look forward to your cooperation! For easy removal of the Cutter Head, the ladder front piece is fitted with an eye to lock the cutter and unscrew it by reversing the hydraulic motor. In case this does not suffice, the assembly also has a `flame cut ring. After cutting away this ring, the cutter head will be loosened on the thread of the shaft.The box-type design is best suited for mounting a submersible Dredge Pump. This is a stronger design for heavy duty and longer wear life, because the box-type makes the whole Cutter Ladder heavier than the pipe-type. The use of a submersible pump allows for a larger dredged density at depth. The cutter ladder front parts are of a pipe or a box-type rigid design, complete with the cutter drive motor, cutter shaft, cutter shaft bearing and side wire swivel blocks. The unit can simply be mounted to the ladder of the dredge, connect hydraulics, greasing and flushing water and is then ready for use. The unit's extra sturdy design ensures a long lifetime. Cutter ladder is a Cutter Suction Dredger component. The cutter ladder front part is fitted with a cone in order to get an optimal flow of solids into the Suction Mouth. The suction mouth is also designed for this purpose. The high-efficiency slow running hydraulic motor drives the cutter shaft and cutter directly. The high starting torque of the motor helps to prevent the cutter from getting stuck.